Lush stores have been a high-street mainstay for decades now, having introduced the nation to the wonder of bath bombs and plastic-free shampoo bars. So if you’re a fan of the colourful shop, full of hair, face, and beauty products, you’ll likely be intrigued to hear about the opening of their biggest – and most exciting – store yet. 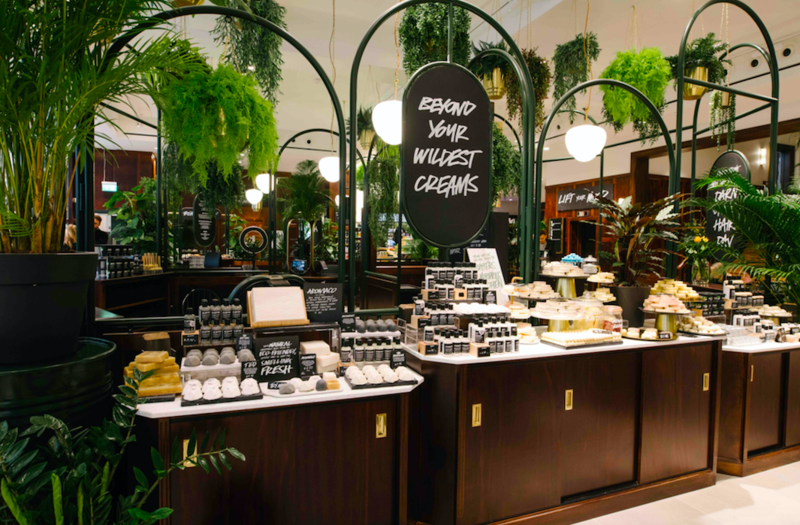 On Friday, Lush transformed their Liverpool store into their biggest yet and they’ve stuffed it full of everything you could ever need for the ultimate afternoon of self-care. Perfect after a busy morning spent shopping! If you’re planning a visit, not only can you pick up your favourite products (including that bath bomb you’ve wanted to try for months now). You can also look forward to a range of spa services, and other lovely little treatments to brighten up your day. The Hair Lab is on hand for anyone looking for a cut, blow-dry or a new colour, and there’s also a coffee and tea kiosk if you simply fancy a moment to chill out. The new Liverpool store also includes their now-popular Lush spa. Depending on how much time you have to spare, you can treat yourself to a longer treatment in one of their six new treatment rooms, or enjoy a speedier service with their shop-floor massages. Customers can while away half an hour with the Fresh Facial, available exclusively in their Liverpool, Oxford Street and Birmingham stores. It’ll set you back just £45, and you can look forward to a specialised treatment depending on the needs of your skin. Or, spend £40 on a 25-minute, Liverpool-exclusive percussion massage, to help relax and re-energise you after a day spent lugging around shopping bags. 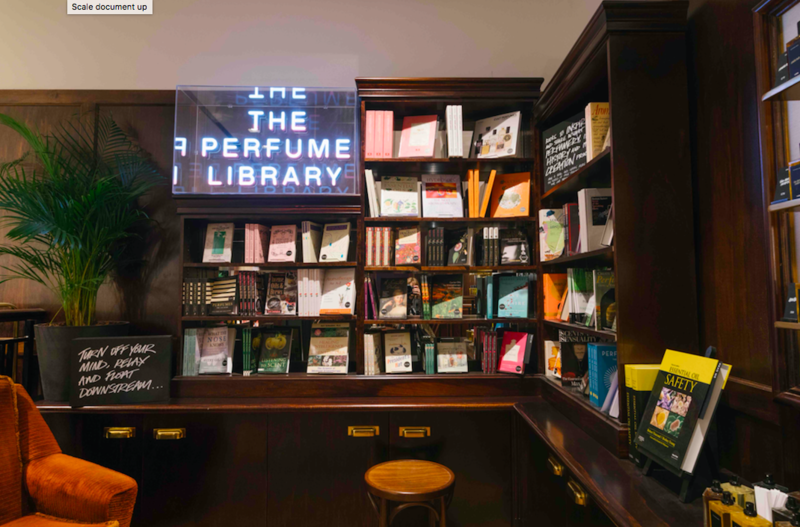 And if that weren’t enough, there’s also a florist selling picture-perfect bunches of flowers, as well as a ‘Perfume Library’, selling exclusive scents and books on perfumery. 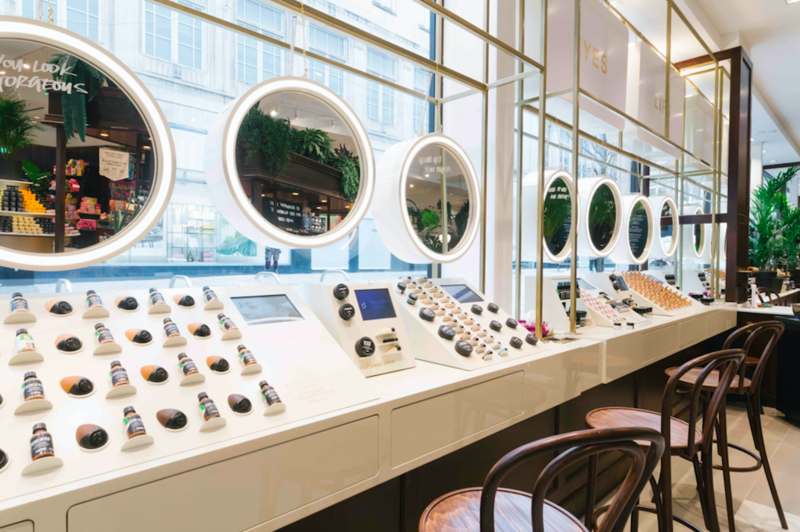 There’s also a whole heap of 300 new make-up, skincare, bath and hair products on offer in the new store, which is no surprise, given that the new Lush Liverpool store is five times bigger than the previous one. We’ll be making a trip ASAP!